Sunday March 24th 2013, 2.30pm-6pmWe are delighted to welcome the renowned Tibetan Buddhist teacher Khenpo Damcho Dawa Rinpoche. Ably assisted by translator Katia Holmes, Khenpo Rinpoche will give guidance on how to negotiate the vast wealth of Buddhist teachings to find what is most appropriate for us. An opportunity to practice Chenrezi. Especially useful for those who can’t manage the evening pujas. 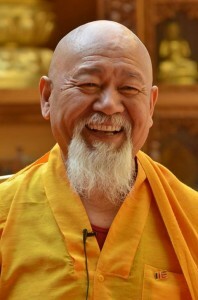 Saturday April 20th & Sunday April 21st 2013We are happy and honoured to receive KSDE’s founder and precious teacher Akong Tulku Rinpoche, together with Gelong Thubten, who will be assisting him throughout the weekend’s events. 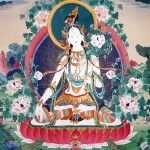 Deity visualisation and mantra recitation are widely practiced in the Tibetan Buddhist tradition. Thubten will explain the philosophy of these profound methods and their relevance to our busy modern day lives. A film screening of Rinpoche’s recent work in Tibet. 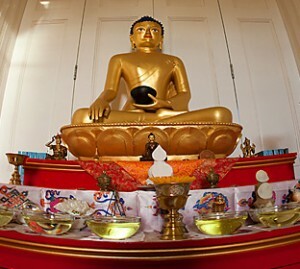 This is for people taking Refuge in the Buddhist faith or wishing to renew their Refuge vows. Please let us know if you are taking Refuge for the first time. (Free of charge). A wonderful opportunity to receive the blessing of Medicine Buddha Initiation and authorisation from Rinpoche, who is also a doctor of Tibetan Medicine. Mondays from 6.30pm to 7.30pmContinuation of the Wildgoose course for existing participants only. Starts April 29th 2013 for 8 weeks. 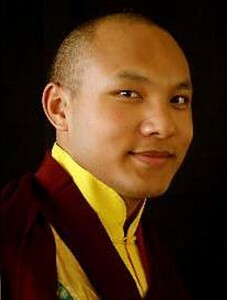 Wednesday June 26th 2013, 7.15pm In honour of the birthday of His Holiness Karmapa, the supreme Head of the Kagyu Lineage, there will be a simple ceremony at Samye Dzong Edinburgh with an opportunity for those who wish to offer Kattas or flowers for His Holiness while chanting KARMAPA CHENNO. This will be followed by a short sitting meditation. Thursday June 27th 2013, 7pm -9pmRingu Tulku Rinpoche is one of the most learned and popular Lamas of our time. His fluent English and direct, accessible style make him much in demand at Dharma Centres around the world. Drawing on his wide knowledge of both the Buddha Dharma and of modern day life in the West, Ringu Tulku Rinpoche will illuminate how the timeless teachings of the Buddha are as relevant and needed now as when they were first expounded. Indeed, as modern science starts to explore such ancient Buddhist truths as the interdependence of all things the concept of beginingless time we can but marvel at the wealth of wisdom available to us through the Buddha’s teachings. However, the essence of knowledge is to apply it. Sunday September 22nd 2013, 10.30am – 4.30pm In advance of the forthcoming weekend with Lama Yeshe Rinpoche, Ani Rinchen Khandro will give instruction on White Tara Puja for those who wish to have some insight into this profound practice and also be able to participate more fully in the Puja with Lama Rinpoche. Texts will be available to buy. 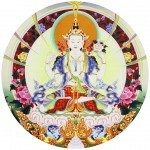 Participants should have taken Refuge and either already have the White Tara Empowerment or the intention to take it when available. Please bring a pencil and a red pen for text marking. Saturday September 28th & Sunday 29th 2013 Lama Yeshe Rinpoche is Abbot and Retreat Master of Samye Ling and Samye Dzong Centres worldwide. A charismatic teacher and renowned meditator, his wisdom, compassion and good humour make him an inspiring example for all. Modern society often encourages us to become selfish and look after number one. But instead of resulting in happiness this attitude leads to anxiety, stress, jealousy and dissatisfaction. Lama Yeshe Rinpoche presents the opposite view. As we are all interdependent, what is good for others is also good for us. Offering practical advice on how to cultivate our natural kindness and compassion, Lama Yeshe Rinpoche shows us the intelligent way to live, since it leads to our own happiness and that of others, what we might call a win win! Dzong Edinburgh’s 3rd year at our own Centre. Wednesday October 30th 2013, 7.30pm – 9.30pm Whether one is an experienced Dharma practitioner, or a complete beginner, it is essential to have the correct approach and focus in your Dharma practice to truly benefit and progress. Otherwise it is all too easy to get distracted in details while losing sight of the real heart of the matter. We are extremely fortunate and greatly honoured that the renowned Retreat Master, Drupon Rinpoche, has made time in his busy schedule to present this key teaching at Samye Dzong Edinburgh. 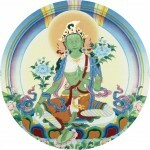 If you have any aspiration to follow the Buddhist teachings, at whatever level, you are highly recommended to make the most of this unique opportunity. There will be a special tribute event to Akong Tulku Rinpoche at Samye Dzong Edinburgh on Saturday November 9th 2013 at 7.30pm when we will be screening three wonderful films showing some key moments of Rinpoche’s extraordinary life. Samye Dzong Edinburgh is pleased to announce that film maker Sitar Rose will introduce her film The Blue Poppy at Saturday evening’s tribute to Akong Rinpoche. This means we will screen a total of three very different films illustrating various aspects of Rinpoche’s life and work. Total running time is approximately one and a half hours. The evening will be topped off with a heartwarming cup of Masala Chai (Indian spiced tea), and an opportunity to buy Rinpoche’s books or the beautiful environmental calendar by His Holiness Karmapa, Cherish the Earth. The event is by donation and all proceeds will go to the Akong Tulku Rinpoche Memorial Fund. There is no need to book but please let us know if you wish to attend so we can arrange seating etc. accordingly. We look forward seeing you and celebrating together the extraordinary life of our precious teacher Akong Rinpoche. The Milarepa Pujas for Akong Rinpoche will continue throughout November on Wednesday evenings from 6.30pm and the usual Wednesday qigong class and study group will resume on December 4th.The Milarepa Pujas for Akong Rinpoche will continue throughout November on Wednesday evenings from 6.30pm and the usual Wednesday qigong class and study group will resume on December 4th. Saturday December 7th 2013, 10.30am – 4.30pm The vast scope and range of Buddhist teachings can seem bewildering and daunting. Where to begin? 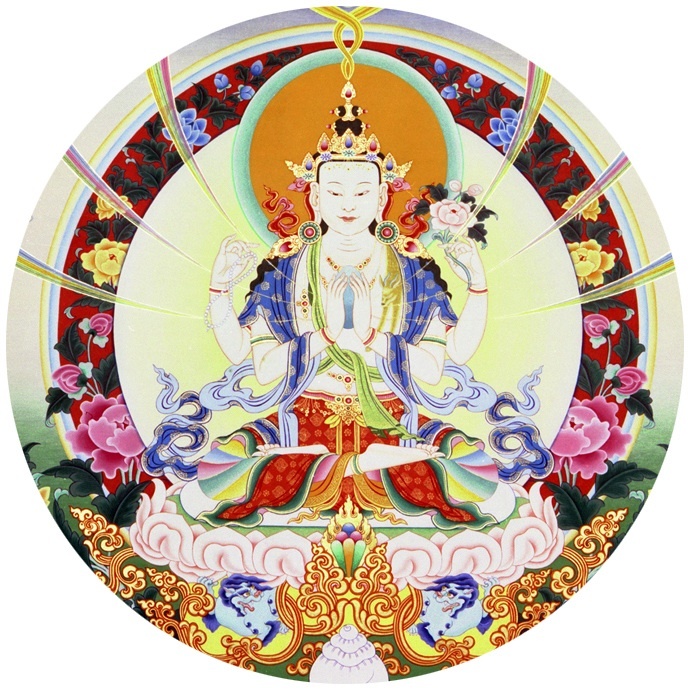 Ani Rinchen Khandro will give a brief overview of the history and basic tenets common to the various schools of Buddhism and explains the importance of following an authentic lineage. 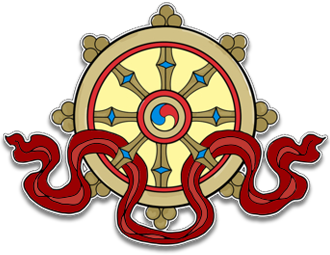 The afternoon session will focus mainly on the Tibetan Vajrayana tradition with guidance given on how to proceed from here. There will also be time for questions, discussion and short meditation sessions.